Seattle was hit with a heat wave this week and taking this OOTD was making me sweat within 5 mins of standing outside. Thanks to my cropping and resizing, you can't see any sweat. Whew! ;) haha.. This outfit, I paired a bright orange tank top with a dotted textured petal sleeve blouse I found at H&M last week (unfortunately I can't find it on-line). 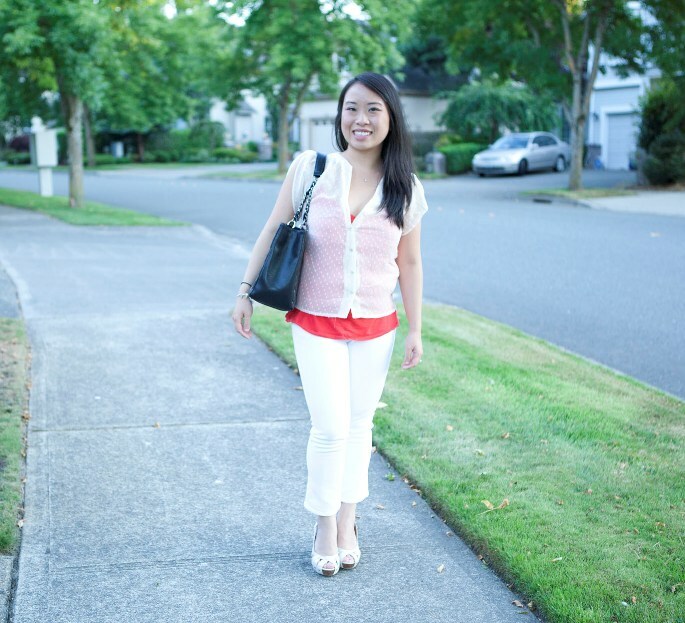 I just love any color showing through a sheer top (as you can tell from my previous OOTD post). I wore this to work during the daytime and changed it slightly for it to be more casual for a special family dinner by adding wedges instead of heels and the lovely Chanel. Can't go wrong with it! How would you change an oufit from work to play? Beautiful Chanel purse!! Really like your outfit. ahhh love this the sheer polka dot top with the orange peeping through.. and your gorgeous GST!!! LOVE :) you look beautiful babe! 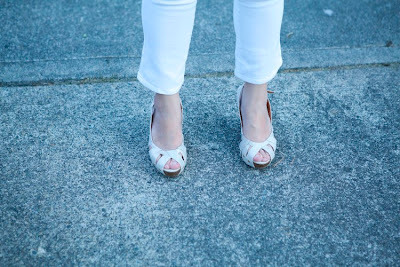 I try to wear something that doesn't require any changes but if I do change from work to night then it's usually the bottom (pants) or just my shoes. Yeah, I agree. I try not to either but if I did it would be just bottoms or shoes as well and maybe accessories. haha.. Fantastic BLOG! Interestingly enough, I haven't had to switch things up from night to day. But it's definitely a skill I need to learn about soon. I've been hearing about this heat wave a lot! Hope it cools down soon. 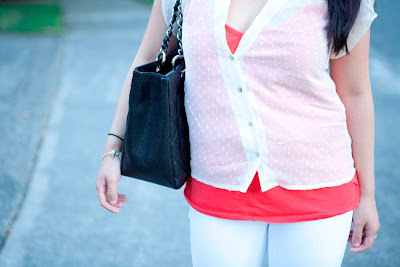 I totally love that sheer dot blouse! Very cute! Lovely style, love the blouse! Lovely blog, maybe you want to follow each other? I’ d be very pleased if you like my blog enough to follow it and I will follow yours of course! Keep in touch...this is my wish ;-).